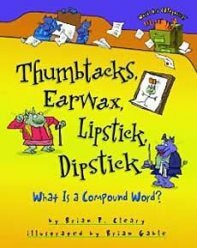 Compound words are fun to teach, and in our experience, kids find them fascinating. Suddenly, they're finding them everywhere! Need some examples of compound words to spice up your lesson? Mix in some kids books! 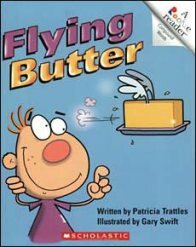 There are, of course, a lot of fun games and activities to use to teach compounds, but have you tried using one of the following creative and fun books? 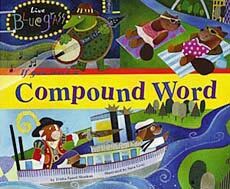 The following children's books are FULL of examples of compound words. 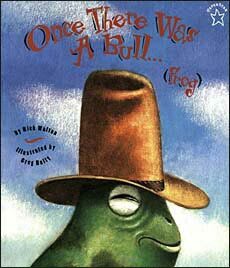 :) But... we need more children's literature titles for teaching this subject. Do you know of any? Please share! 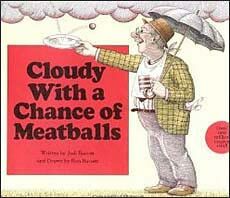 We're surprised there aren't more good books on basic language arts concepts such as this one! town where it rains food! We clearly need more books for this list! It's much too short. We'd love to hear any recommendations you have on books to add. And if you have you read any of the books above, please let us know what you thought.